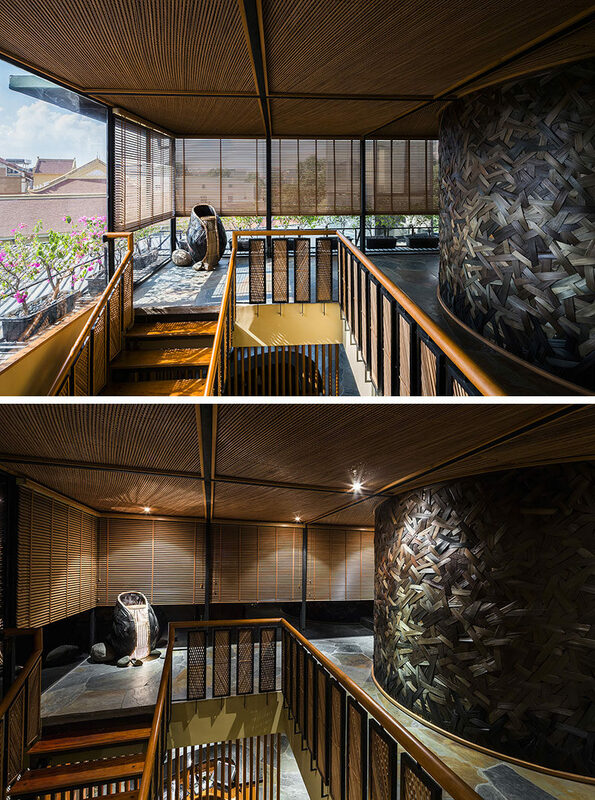 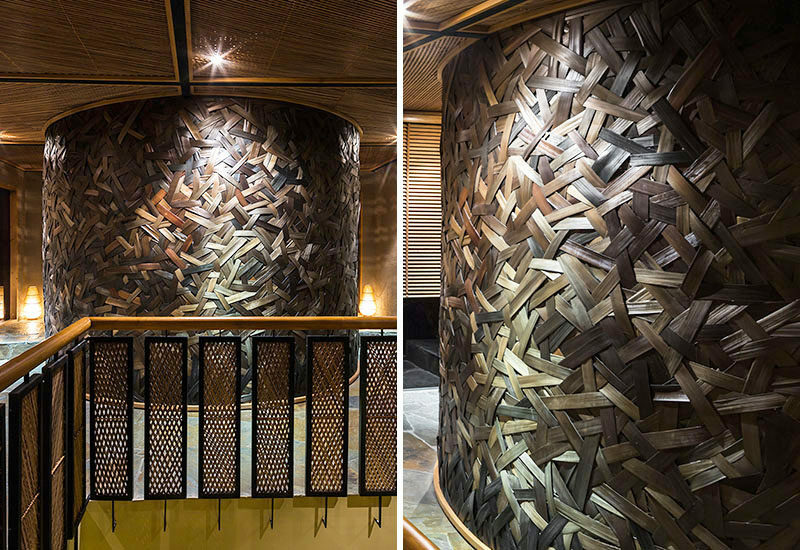 When designing KIMONO, a Japanese restaurant in Hanoi, Vietnam, NH Village Architects decided to include a private dining room for guests, made from strips of bamboo. 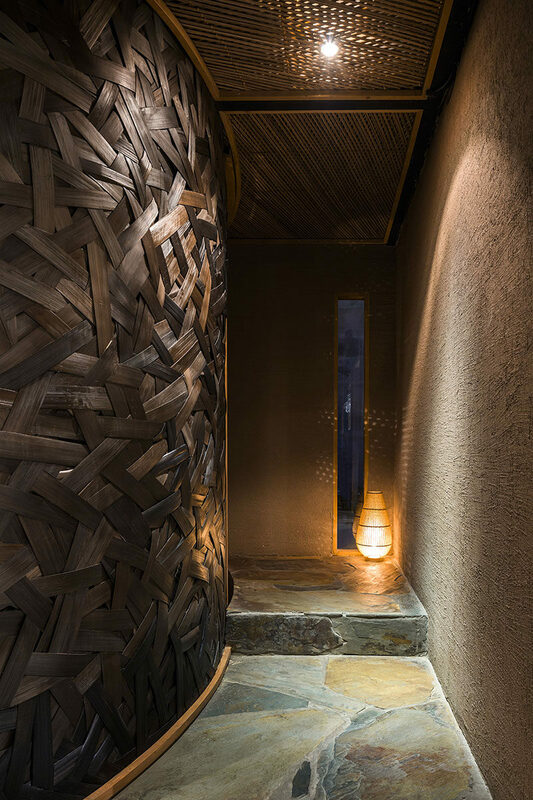 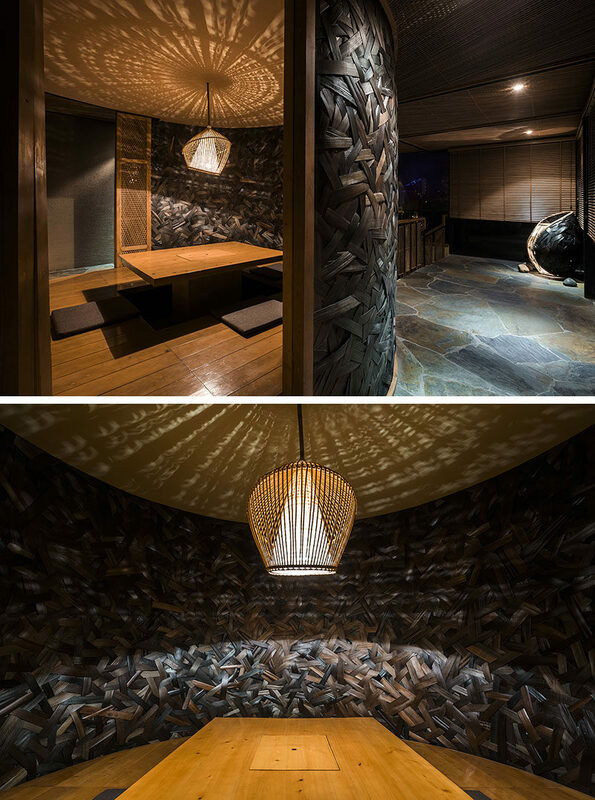 The design of the private room was inspired by the way Vietnamese traditional lamps are knitted together by hand, providing a woven appearance. 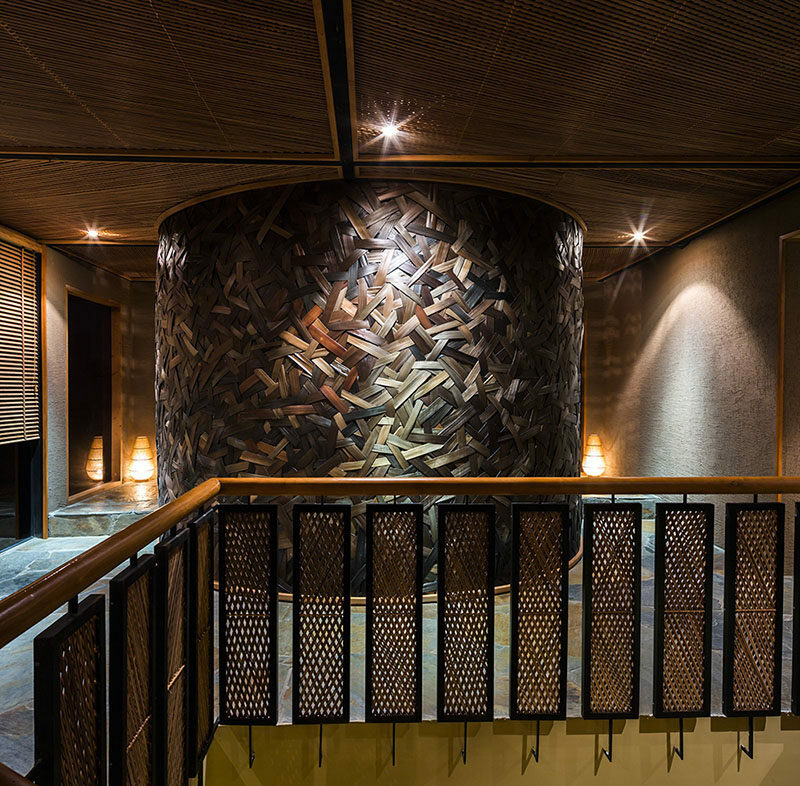 The curved wall definitely stands out in the space and helps to create an interesting environment. 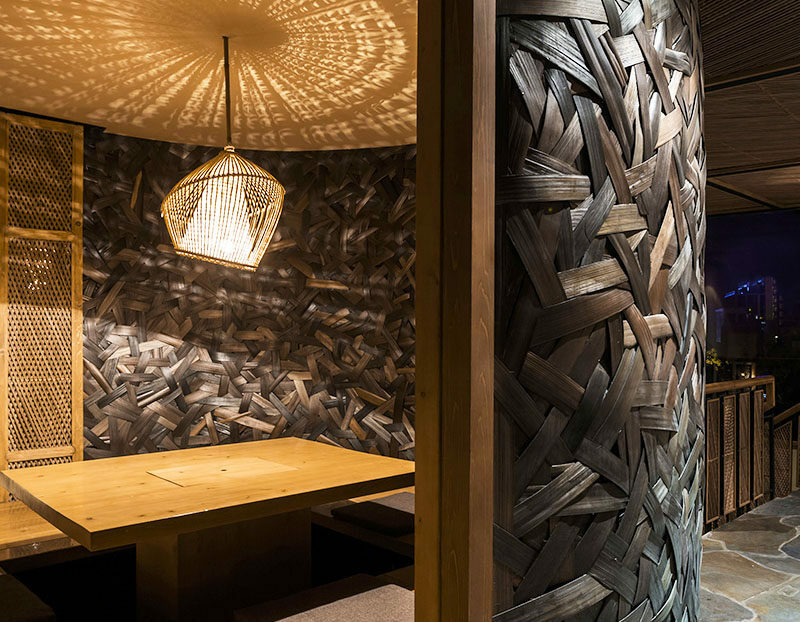 At night, the woven bamboo wall is lit up and becomes more like a piece of art, than a wall. 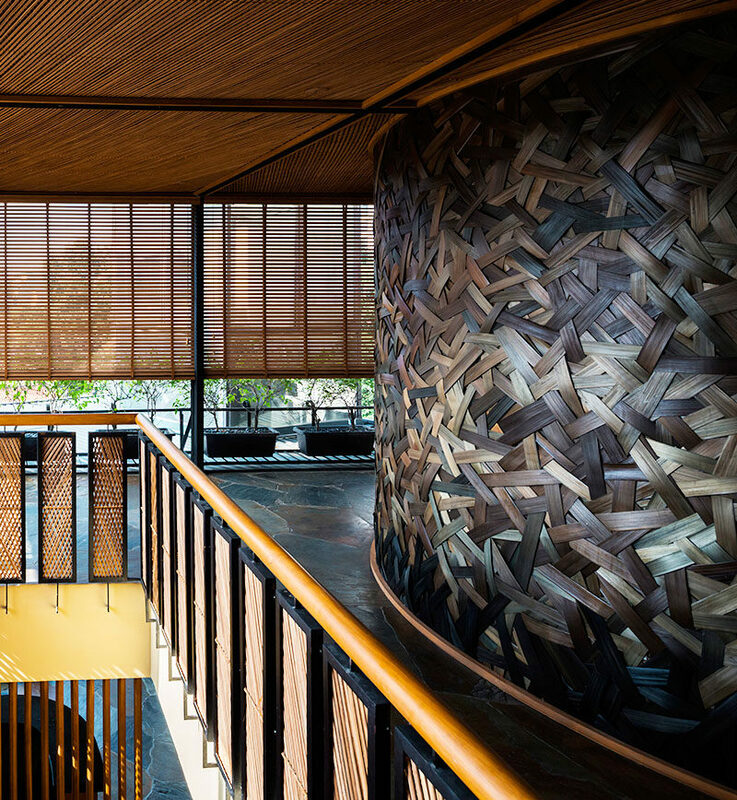 The bamboo wall is also visible from the inside, creating a unique, private dining room.